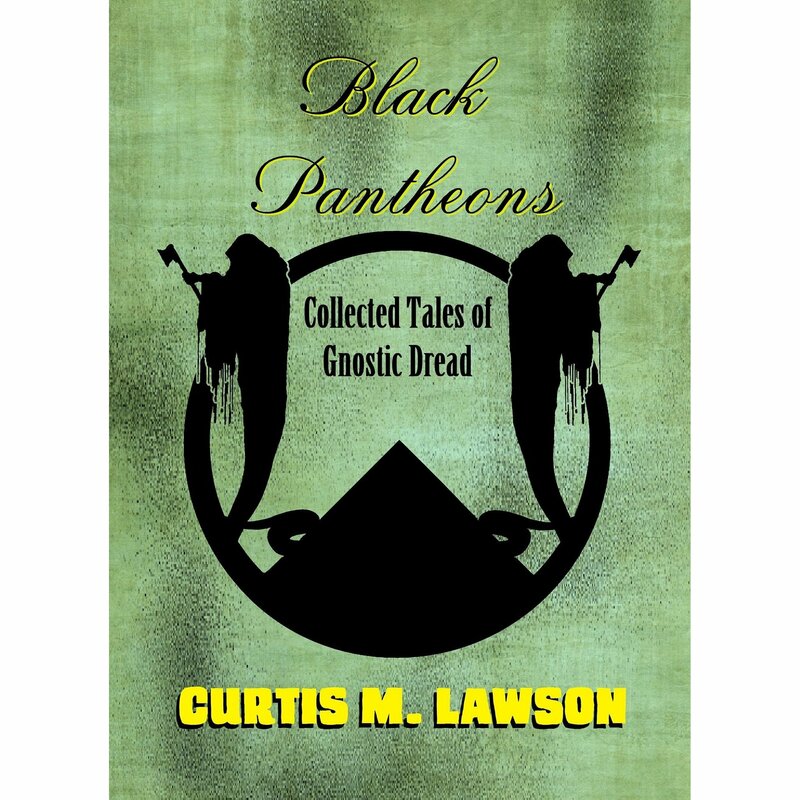 Black Pantheons by author Curtis M. Lawson is an effervescent anthology filled with esoteric, Lovecraftian stories. The theme, that of literary cosmicism, burns brightly on each page and creates a beautiful sub-text with an overpowering social narrative. Each story is rich with poetic, albeit verbose prose, e.g. wild, nacreous mane. Whilst verbosity usually puts me off etirely, this is not the case with Lawson. It’s as if his verbosity is needed for the short stories, as if he ehances their subtle curves with brilliant brushstrokes and monolithic exaggerations. Black Pantheons is supposed to be exaggerated – it also needs to be expunged from all of the garden variety schlock. Am I inherently in love with this book? Perhaps. Did I find fault with technicalities? Indeed. This could have been a rare five out of five rating for Lawson, but the technical aspects always override the artistry. Lawson refused to kill his little darlings, and for that reason alone I am unable to give Lawson a full score. One doesn’t need three adjectives to describe the wind, nor does one require a paragraph of adjectives to describe a single movement. If Lawson had trimmed the adjectives, I would have punted this book as one of the best short story anthologies I’ve ever read. But I have to stay true to my objectivity. Another plus in the Lawson column comes in the form of characterization. He has a way of creating these vibrant, human characters with nuanced flaws and subtle idiosyncrasies. This is unheard of in a short story anthology. Usually, characters come and go like Weight Watchers buffets, but that’s not the case with Lawson – his characters are beautiful, intense disasters. If you’re in the mood for deep philosophic debate (I always am), then make sure you get a copy of Lawson’s book. It’s a powerful narrative.